This is only one photo that we have in our The Perfect Backyard Pool Area Ideabook at Houzz. How incredible would it be to have this home theater in your backyard? Stunning! 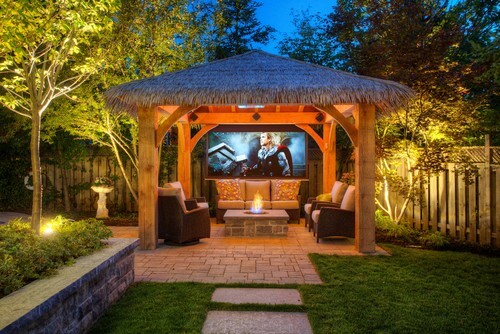 This backyard has a great feel to it, and the theater area looks so comfortable! Older PostWe'll Be at MFG. DAY 2014 @ Northwest State Next Week!